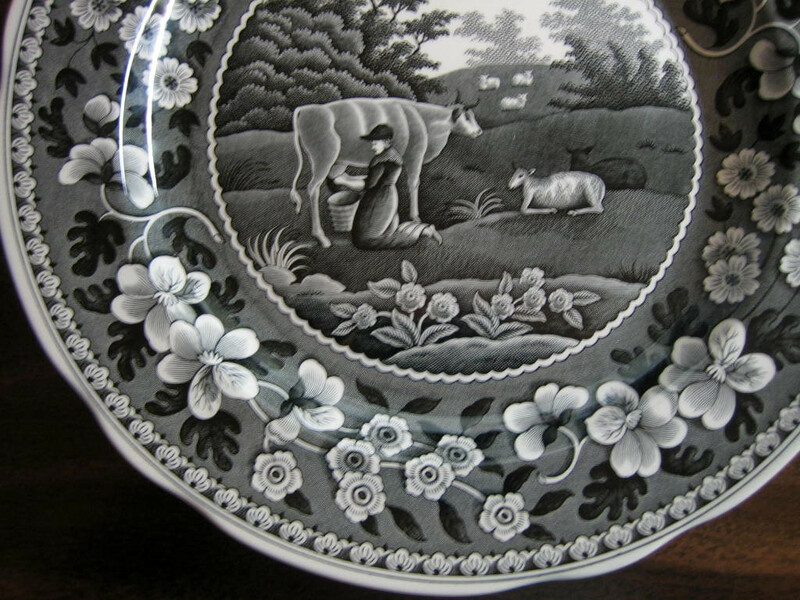 Click the button below to add the Black White Toile Transferware Milkmaid Cow Sheep Floral Edge Plate to your wish list. 10 1/4 ". HARD TO FIND. Rich tapestry of asian detail: vignettes and florals. 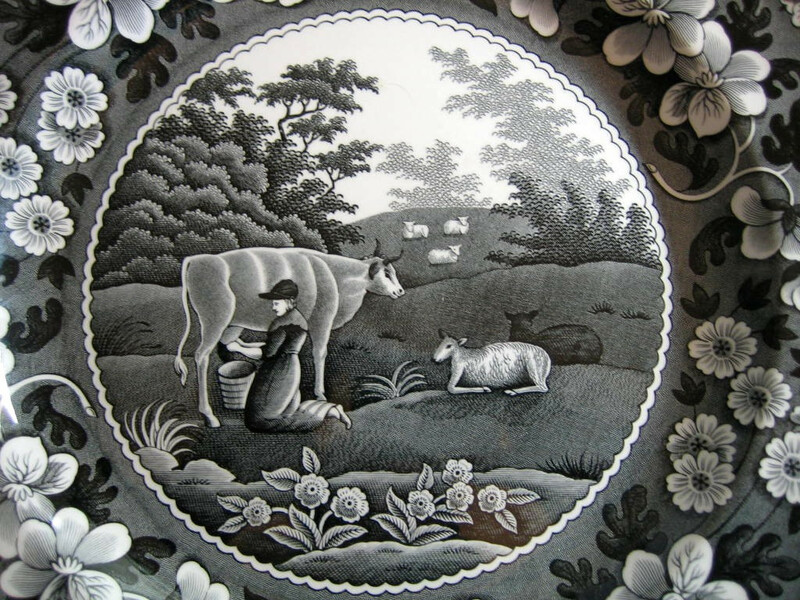 Perfect for wall, cabinet or dinner. Made in England.